WELCOME HOME! This 3 Bedroom, 2 Bath, 2 Car Garage, 1693 sq. ft. home is priced to sell. 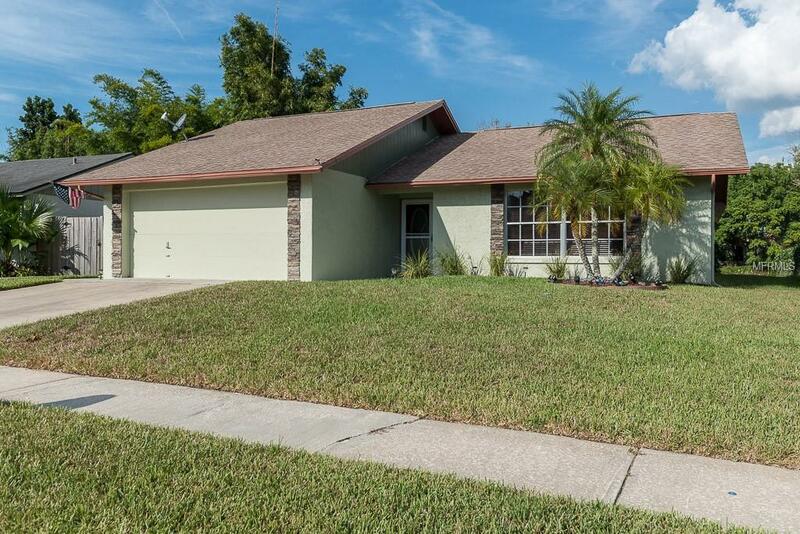 This fantastic home is located in the highly sought after community of SEVEN SPRINGS! Perfect as a starter home or an incredible rental income opportunity. The home has a new A/C 2017, new roof 2005, and the exterior was painted in 2016. There is a large concrete covered patio for entertaining. You will find that the home has been meticulously maintained and cared for in every way. You must truly see the inside to appreciate this incredible home. A lot of house for the money, in a highly desirable area, with an abundance of space. Centrally located to shopping, dining, water recreation, parks and more; this home will not disappoint. Privacy with no rear neighbors. Playgrounds, parks and A rated schools are close by! Convenient to Highway 54, Trinity, and Tarpon Springs. Listing provided courtesy of Lipply Real Estate.